Magento 2 Refund Request allows customers to easily request for the order refund without having to log in and helps admin handling them with ease. Let customers request a refund without having to log in. Instant Email notification to the admin about new return requests. Google reCAPTCHA to avoid spam refund requests. Refund is a dreaded term which stores don't like and customers avoid dealing with but still, it's an inevitable part of E-commerce business. The customer experience of the store can be determined on the basis of how well and positively it handles the return or refund request! Offering the best return experience is much appreciated for smooth store operations and customer convenience. They tend to trust a business more if it offers a cooperative refund system. 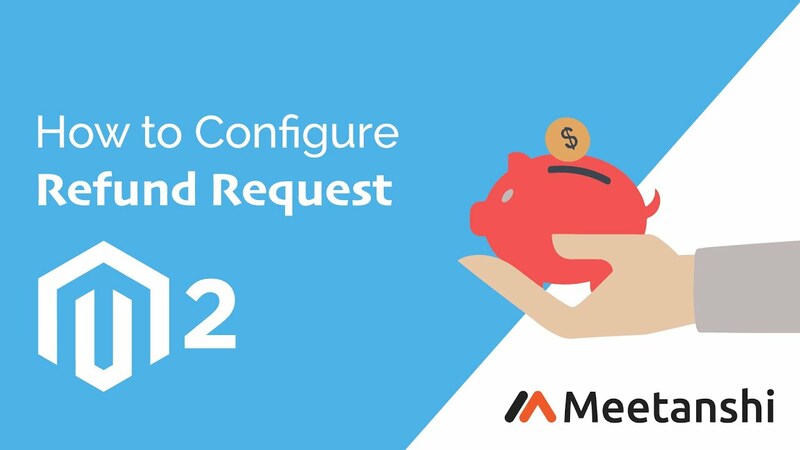 To concentrate on the Magento 2 refund requests with ease, Meetanshi has developed Magento 2 Refund Request extension. It allows customers to easily request a refund or return for the orders without having to log in. It provides a separate form to enter order details and refund reason and submit the form. The module is a time saver as it instantly notifies admin after a new refund request is submitted! Moreover, the reason for the refund can be defined from the backend and customers have to select the appropriate reason prior to returning the products. This helps in identifying the loopholes in the products and improve it to avoid future refunds. Use Magento 2 Refund Request extension to avail the cool features it has to offer to easily handle return requests. Customers can easily request for order refunds submitting details using refund request form. Admin can set custom form title and description to show in the frontend form. Enable Google reCAPTCHA in the refund request form to avoid spam request submissions. Instant Email notification to admin whenever a new refund request is submitted. Email notification to customers to acknowledge them about successful refund request submission. Apart from some of the mandatory form fields, admin can select extra fields to show in the frontend. Admin can add refund reasons in the backend to allow requests for the specified reasons only. All the refund requests are stored it the backend with customer, order and refund details in a separate grid to manage refund requests. On click of the refund request form from top link section, customers can fill order details, specify the reason for refund and submit requests. Easily handle refund requests and provide better return experience to the customers.